In 1996 David Simms formed Eatible Delights Catering. 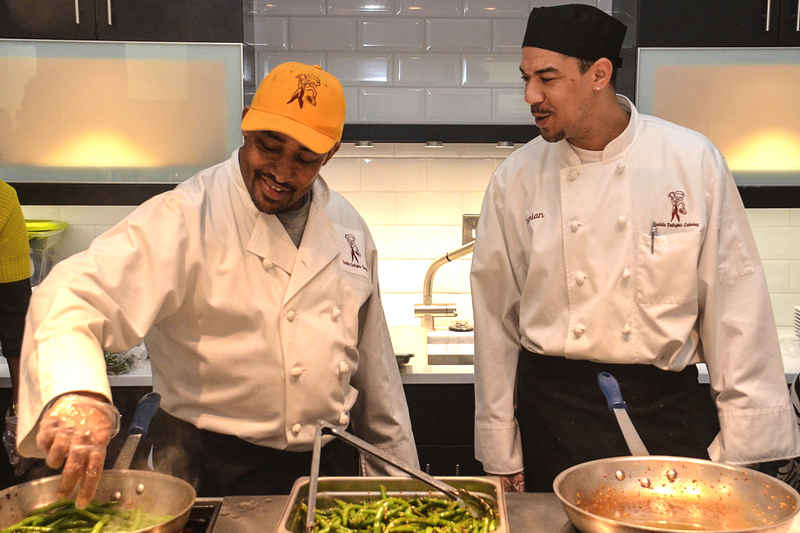 While building Eatible Delights, David worked for The Olive Garden, Restaurant Associates and La Terrase restaurant, where he received formal training under Chef David Greer. He attended and graduated from OIC Philadelphia where he received hospitality and culinary training. Additionally he formed David’s Place Restaurant, secured the backstage catering for the Robin Hood Dell East and provided catering at its concession stand; he also operated a concession stand at Citizens Bank Ball Park. After he formed Eatible Delights Catering, he was selected to participate in the 1996 All Star game which was his first large scale (750 people) catering and event coordinating project where he worked with Aretha Franklin. Eatible Delights Catering is located at 2338 Ridge Avenue in Philadelphia and currently provides catering for close to 300 events a year. It was an honor to provide the catering for Mayor Nutter's Administration on Election Day. Eatible Delights catered the first West Chester University Philadelphia Campus Master of Social Work Graduation. The food was fabulous! The staff all arrived on time. One of the servers was early and helped us out with some tasks! Thank you so much!!! You were a pleasure to work with! 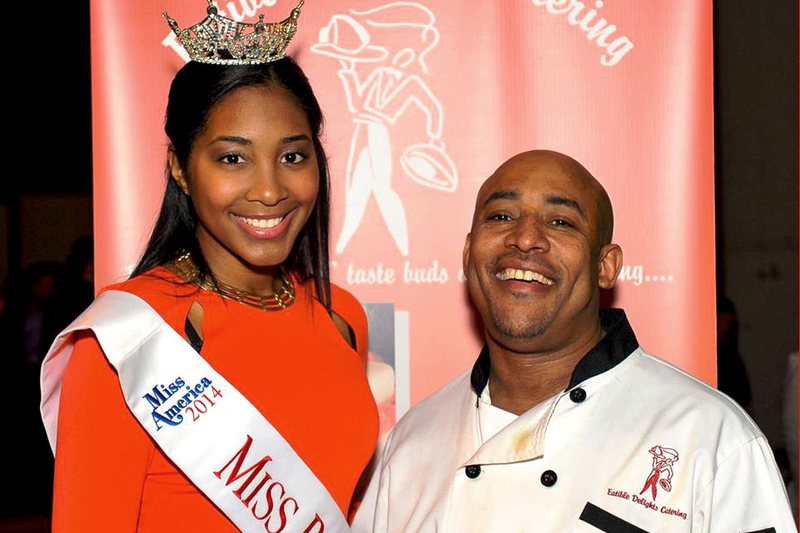 We will keep Eatible Delights in mind for future events we host in Philly! 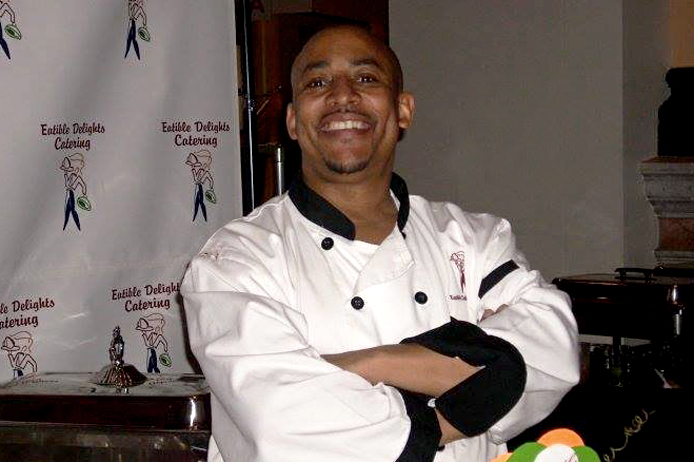 Eatible Delights Catering has enjoyed providing catering for the Global Fusion Festival in 2009, 2011, 2012, and 2013. We used Eatible Delights for a morning meeting at my organization. They arrived and set up early. The set up was wonderful with small piece of artwork, artfully positioned napkins and had a valentine theme since it was right around the holiday. The food was delicious and everyone enjoyed it. Employees even got up for seconds and wanted to know the name of the catering company. The person who set up everything asked if I needed any additional help or assistance before his departure and verified what time he should be back for clean up. He arrived on time to clean up and their wasn't anything left behind. They did a great job and I would definitely use them again for another work function or my own personal use. Today Eatible Delights Catering, has a “Brand”, that is known throughout Philadelphia, and the entire Delaware Valley area including New Jersey, Delaware, Washington DC, Maryland, and New York City.